Irma’s Fierce Winds, Rain Rattle Ga. Downgraded to a tropical storm, Irma hit Georgia early Monday, causing intermittent power outages and downed trees on and around Emory’s Atlanta and Oxford campuses. Irma was downgraded to a tropical depression Monday night but continued to flood parts of the Georgia and South Carolina coasts throughout Tuesday, according to The Weather Channel. Irma was downgraded to a post-tropical cyclone late Tuesday as it moved into the Tennessee Valley, according to the Times. The University was closed Monday and Tuesday due to severe weather conditions from Irma, according to a University press release. Emory Clark-Holder Clinic, Emory West Point, Emory Southern Center for Orthopedics in LaGrange (Ga.) and Emory Ambulatory Surgery Center at LaGrange were closed Monday, according to the Emory Healthcare website. Emory Healthcare employees contacted patients at those locations to reschedule their appointments, the website said. Fuel outages are being reported throughout Georgia and Florida, according to The New York Times. Georgia Gov. Nathan Deal urged Georgia residents and the thousands of evacuees from Florida who fled to Georgia to stay put and avoid driving Tuesday as workers cleared roads, according to the Atlanta Journal-Constitution. Deal lifted the mandatory evacuation order for six coastal Georgia counties early Tuesday. At least three people have died in Georgia from Irma, according to the AJC. Intermittent power outages, some dysfunctional stoplights, debris and fallen trees on roads on and near campus have been reported to Emory Police Department (EPD), according to Sgt. John Harper. Several trees at Oxford College, Lullwater Preserve, Glenn Memorial United Methodist Church, Clairmont Campus, the train tracks near Druid Hills High School and residential neighborhoods surrounding Emory also fell. Like Atlanta campus, Irma pummeled Oxford College with rain and wind. No students or personnel at Oxford College were injured, according to Oxford College Director of Communications Cathy Wooten. 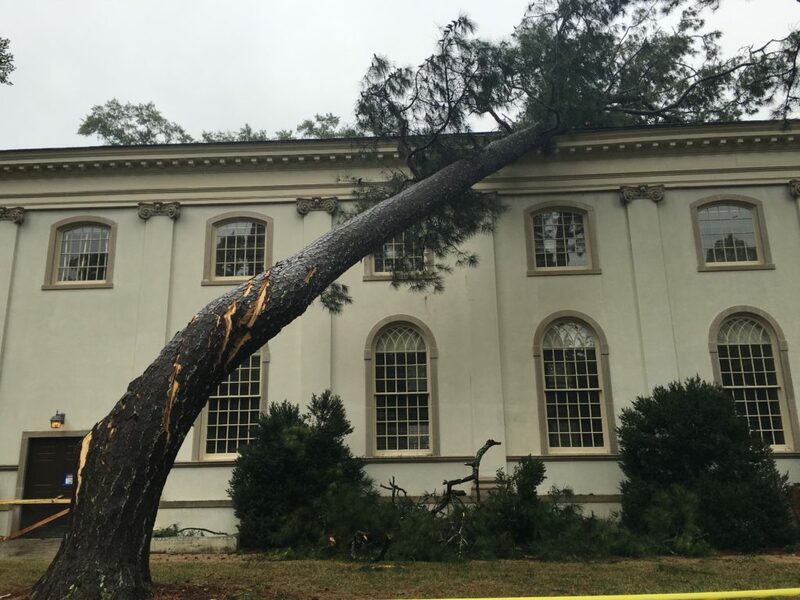 Several large trees on the Main Quadrangle, near the student center, next to Candler Hall and near Seney Hall and Fleming Hall parking lots were toppled by the strong winds, according to a Monday email from Oxford College Dean Douglas Hicks to Oxford faculty that was forwarded to the Wheel by Wooten. There were 110 “key and essential” Facilities Management employees, including electricians, grounds crews, staging crews, custodial staff and mechanics, who came into work Sunday at 10 p.m. and stayed for two nights on campus to prepare for and respond to the storm, according to Associate Vice President for Facilities Management Todd Kerzie. There were “a couple power surges when trees hit power lines,” but the power generators kicked in, Kerzie said. 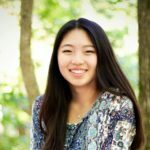 There was also a surge in the trash at residence halls, as students who were confined indoors to weather out the storm often ordered food, and the trash could not be taken outside because of the heavy winds, according to Kerzie. A large tree fell next to the pool at the University president’s residence in Lullwater Preserve, but no one was hurt, Kerzie said. A wind gust reached 59 mph at a site near Emory, according to the AJC. “Winds are gusting over 50 mph county-wide. Please, shelter in place. … It is not safe to drive,” DeKalb County Emergency Management Agency tweeted Monday evening. Power flickered on and off intermittently Monday at Clairmont Campus, the Atlanta and Oxford campuses and Emory Point. Power at Highland Square was out for at least two hours Monday. Nearly a quarter of DeKalb County lost power from Irma’s heavy winds and rain as of 3 p.m. on Monday, DeKalb County schools spokesperson Quinn Hudson told the AJC. As of 4:20 a.m. Tuesday, about 800,000 Georgia Power customers were without power, according to Georgia Power’s Twitter. By 9 p.m. Tuesday, the company had restored power to about 405,000 people. Its crews began assessing damage and conducting repairs to power lines after the storm passed Tuesday. Complete restoration could take several days or weeks depending on the damage, according to Georgia Power. Roads across Georgia, including some in Atlanta and Decatur, closed because of fallen trees. Nearly 80 roads closed in DeKalb County as of 8 a.m. Tuesday before crews began clearing them, according to the county’s Twitter account. Sections of Lavista Road, N. Druid Hills Road, Clifton Road NE and Briarcliff Road NE were closed in DeKalb County as of Tuesday at 11:20 a.m. due to downed trees , according to DeKalb County Communications. Near Atlanta campus, a tree on Burlington Road NE fell early Monday, shutting down the street until it was cleared around 11:26 a.m., according to EPD. Metro Atlanta shut down Monday and Tuesday government offices, public schools and some public transportation in the wake of Irma, according to government press releases. The first Irma-related death in Georgia occurred in Worth County near Albany, Ga., where a 62-year-old man was killed Monday after heavy winds swept him off his roof, the AJC reported. In another incident, a 55-year-old man died after a tree fell on his house Monday in Sandy Springs, Ga., according to the AJC. A 57-year-old woman was also killed when a tree fell on a vehicle in a Forsyth County driveway, NBC11 reported. Emory’s shuttle service stopped at 8 p.m. Monday and reduced its services Tuesday, with only C, D and M routes running, according to a Rider announcement. On Sunday, Deal had issued a state of emergency for all counties in Georgia. President Donald J. Trump had declared a state of emergency in Georgia and ordered federal assistance to response efforts for Irma, according to a Friday White House press release. Early Sunday, the National Weather Service issued a tropical storm warning for DeKalb County for 36 hours until Tuesday. The area was at risk for destructive wind, flash flooding and tornadoes, according to the National Weather Service. Government officials said Irma hit Florida as a category 4 storm with maximum sustained winds of 130 mph early Sunday, according to the Times. Downgraded to category 3, Irma made landfall at Marco Island on Florida’s Gulf Coast Sunday afternoon, according to the Times. The then-hurricane was downgraded to a category 2 as it approached Naples, Fla., Friday evening, according to the Associated Press. Campus Life sent out a University-wide email Friday evening offering resources to those affected by Irma, including resources from Counseling and Psychological Services (CAPS) and the Office of Religious and Spiritual Life.